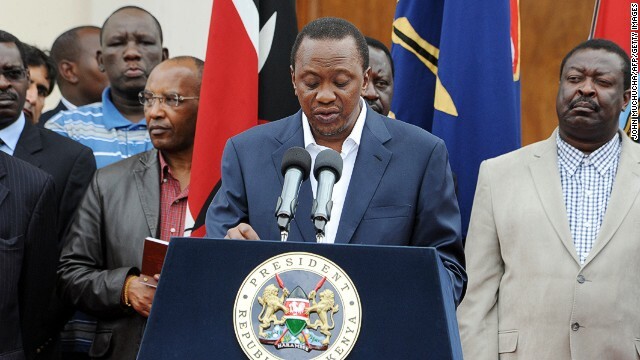 Kenya’s President Uhuru Kenyatta said the new law defines various types of marriages. The bill initially allowed the first wife the right to veto the husband’s choice of additional spouses. Male members of parliament successfully pushed to get that clause dropped. The law legalizes polygamous unions, but does not provide an official limit on the number of wives a man can have. The Federation of Women Lawyers, a powerful women’s rights group, applauded aspects of the bill and criticized others. Polygamy already is a common fixture among many cultures in Kenya and in some other African countries. The bill, the group said, is long overdue because polygamous unions were previously not regarded as equal to regular marriages. “We are happy with the law because finally all marriages are being treated equally,” said Christine Ochieng, executive director of the nation’s Federation of Women Lawyers. However, she said, the first wife should have a say in picking her husband’s co-wives. But Jane Kimani, a Nairobi resident, said the bill is archaic and has no place in modern society.